The Memorial Candle Program has been designed to help offset the costs associated with the hosting this Tribute Website in perpetuity. Through the lighting of a memorial candle, your thoughtful gesture will be recorded in the Book of Memories and the proceeds will go directly towards helping ensure that the family and friends of Sondra McLaughlin can continue to memorialize, re-visit, interact with each other and enhance this tribute for future generations. Sondra Kay McLaughlin passed away at UNM Hospital, Albuquerque, NM on November 28th, 2018 at the age of 77. Sondra was born in Beeville, Texas on November 13, 1941. She graduated from Liberal High School in 1959, Liberal, Kansas. Attended college at University of Texas at El Paso and business college in Lubbock, Texas. 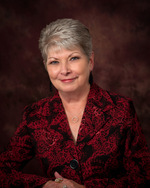 She worked at Reece Air Force Base in Lubbock, Texas, Cosgroves, Silver City, New Mexico and Western Bank in Playas, NM. Sondra enjoyed time playing the slots with Don, travel, spending time with family, playing Skip-Bo, Mexican Train, and Bridge with her many friends. She was active with March of Dimes in Silver City in the 70’s, sorority member in Playas in the 80’s. She participated many years in American Cancer Society’s Relay for Life. She volunteered at Gila Regional Hospital in Silver City for years after Don retired. Sondra is beloved by all who knew her. Her home was always open and welcoming to all who entered. Her smile and sense of humor warmed the hearts of young, old all in between. Sondra is predeceased by her father and mother, H.G. and Almeda Stiles. Her brother Donald Stiles. Her great-grandson, Jasper Mars Dow. Sondra is survived by Donald Ray McLaughlin, her loving Husband of 56 years. They met at Reece AFB and fell head over heels for each other and were married two months later in Lubbock, Texas on December 16, 1962. Sondra is lovingly remembered by her children: Dave McLaughlin and wife Carol of Rio Rancho, NM, Todd McLaughlin and wife April of Dripping Springs, Texas and Dana Gilmore and husband Gary of Willis, Texas. Six grandchildren: Trinity Dow and her husband David, Richard Dowdy, Gavin McLaughlin, Trent McLaughlin, Desiree Brooks and her husband Brian, and James Gilmore as well as five great-grandchildren. The Celebration of Life will be held at Getz Funeral Home, 1410 East Bowman Avenue, Las Cruces, New Mexico 88001 on Thursday, December 6, 2018. with Senior Pastor, Darren Skinner of St. Paul’s United Methodist Church officiating. To send flowers to the family of Sondra Kay McLaughlin (Stiles), please visit our Heartfelt Sympathies Store.